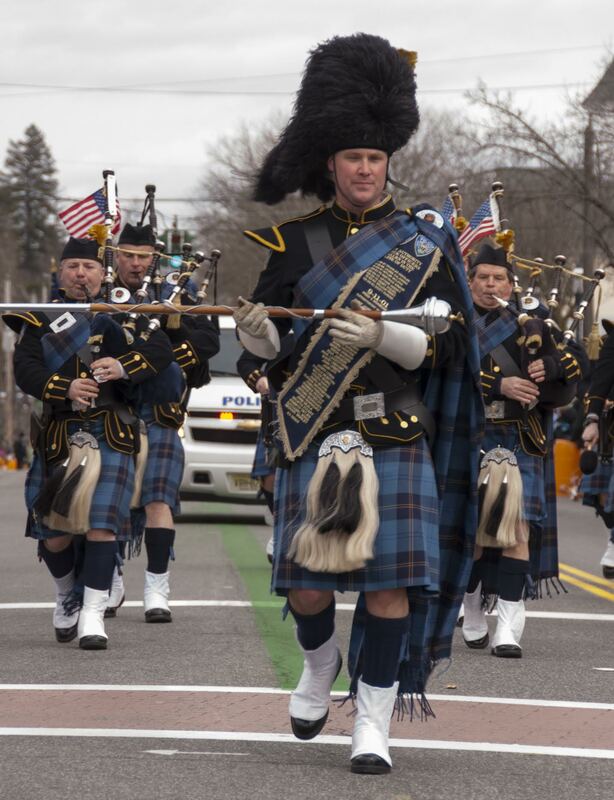 Pearl River’s annual Saint Patrick’s Day Parade is set for this Sunday, March 18. The second largest St. Patrick’s Day Parade in New York State (after New York City), the jubilant celebration has been a venerable fixture on Rockland’s circuit of cultural events for over half a century. Originally held in New City before relocating to Pearl River, the parade is celebrating its 56th year of production. It is sponsored annually by the Ancient Order of Hibernians. The parade begins at 1:30 p.m. at the the south entrance of the Pfizer parking lot, turning onto East Crooked Hill Rd. toward North Middletown Rd. The parade heads south on North Middletown until it meets East Central Ave. where it turns west toward Pearl River’s downtown. Finally the parade turns south again on South Main St. before ending in the parking lot of the Pearl River Post Office. Orangetown Police advise that roads will close in the area of the parade at noon and remind attendees to be mindful of full time and temporary parking restrictions when parking on the street. Handicapped parking will be available in the parking lot of Key Bank at 93 North Middletown Road and at the Municipal lot at the corner of North William Street and East Washington Avenue. The parade will be preceded by the Rockland County Parade Day Mass and Breakfast. The 2018 St. Patrick’s Day Parade Mass will be held at Dominican Convent, 175 Route 340, Sparkill, N.Y. on Sunday, March 18, 2018, at 9:00 a.m. The convent is located across the street from Camp Venture. Immediately following the mass, a breakfast will be held at the Pearl River Hilton in Pearl River, N.Y. honoring the Grand Marshal Emmett Woods and his aides. Tickets to the breakfast can be purchased on the Rockland County AOH website or by mail with a reservation and a check, payable to RCAOH, for $35 per person (Children under 7 free) to Rockland County AOH Emerald Ball Committee, P.O. Box 182, Pearl River, NY 10965 by March 15, 2018. Due to limited seating arrangements, breakfast reservations will not be accepted at the door. According to a recent survey the hamlet of Pearl River boasts more residents of Irish ancestry per capita than any other zip code in the United States. As such, it is the perfect place for a party in honor of St. Patrick, the island nation’s patron saint who is credited with bringing Catholicism to Ireland centuries before most of mainland Europe would accept the new faith .